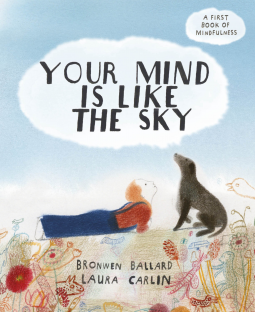 Mindfulness for young minds: Your Mind is Like the Sky – Joyce's mystery and fiction book reviews with some non-fiction too! As I was reading this children’s book, I started to think about the Headspace app, which is something that I listen to. Indeed, this is a book for kids that introduces the principles of mindfulness. A metaphor comparing feelings to sky and clouds threads through this nicely illustrated story that will help children to identify feelings while, hopefully, learning not to be overwhelmed by the “rain cloud” ones. This book provides a good and easy to understand introduction to mindfulness for children. In addition, there are =resources at the end of the book for both children and adults. Thanks to NetGalley and Quarto for this good addition to the emotional health shelf.